The gymnastics bar posts are by FAR the most googled and looked at posts we have on this blog. Quite interesting. I love that families out there are not settling to spend $500 on a store gymnastics bar but are instead building them. Way to go! 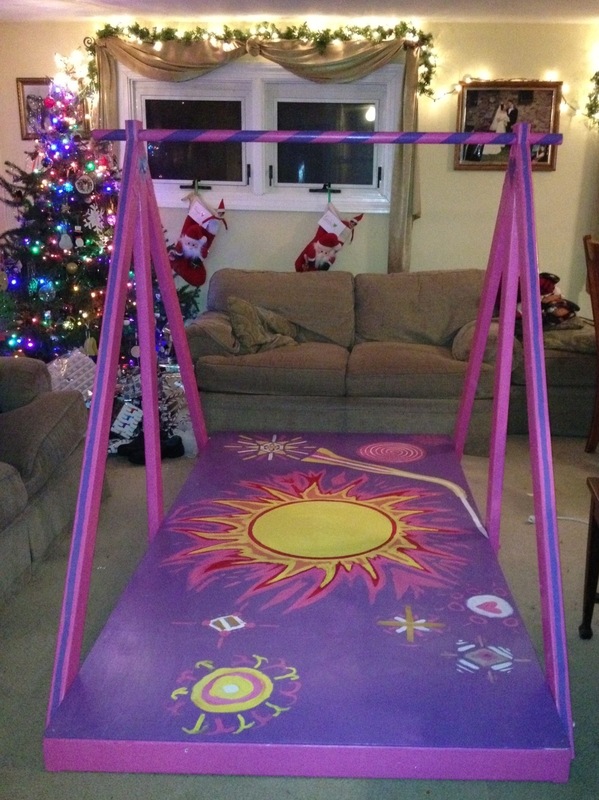 One such industrious family sent a picture of this gymnastics bar they built for their daughter. They gave it to her as a Christmas present and as you can guess, it was a huge success. Look at the gorgeous paint job! Can you imagine the look on her face as she sees this masterpiece on Christmas morning? I am so happy that this friendly reader took the time to send this picture, it sure made my day. Thanks!